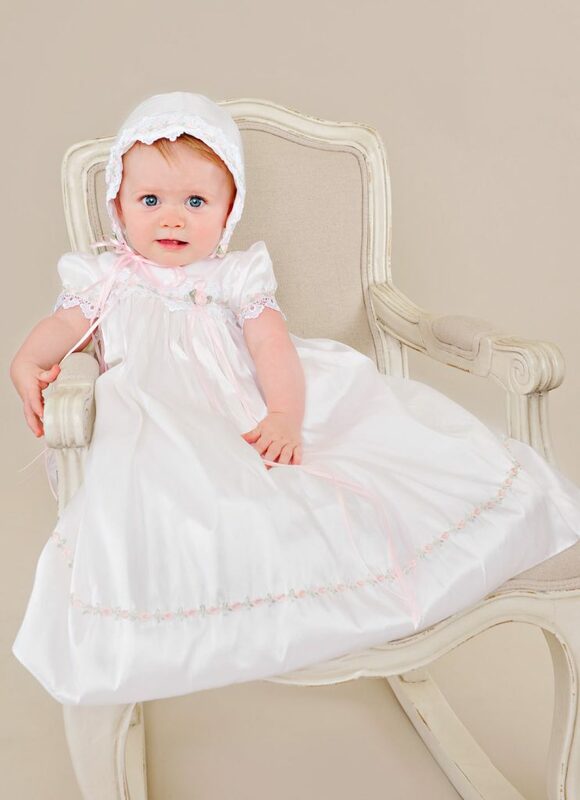 Over the years, many of our christening gowns and outfits have become works of art, dressing porcelain, and reborn vinyl dolls. 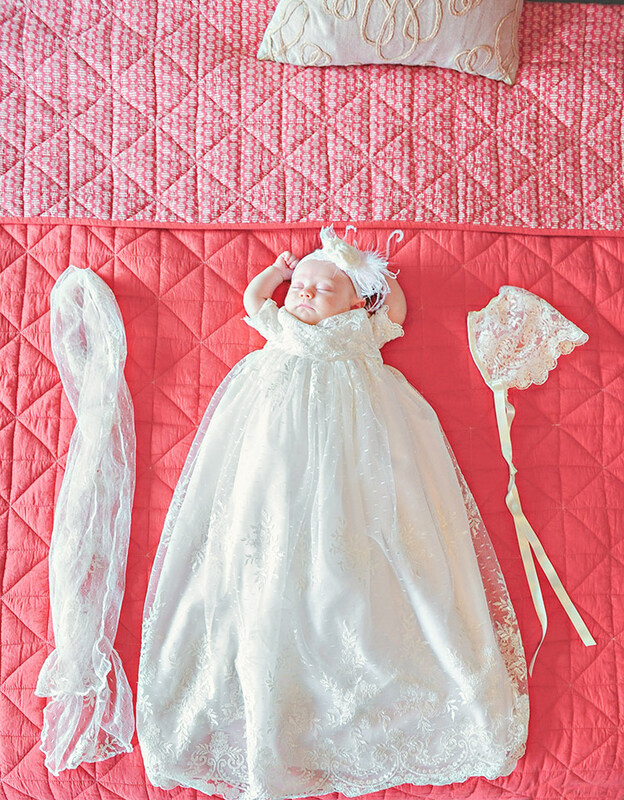 Lorraine dressed her incredible doll, Jeremia, in our Ryker christening tuxedo. We are honored we could be part of her amazing work of art. 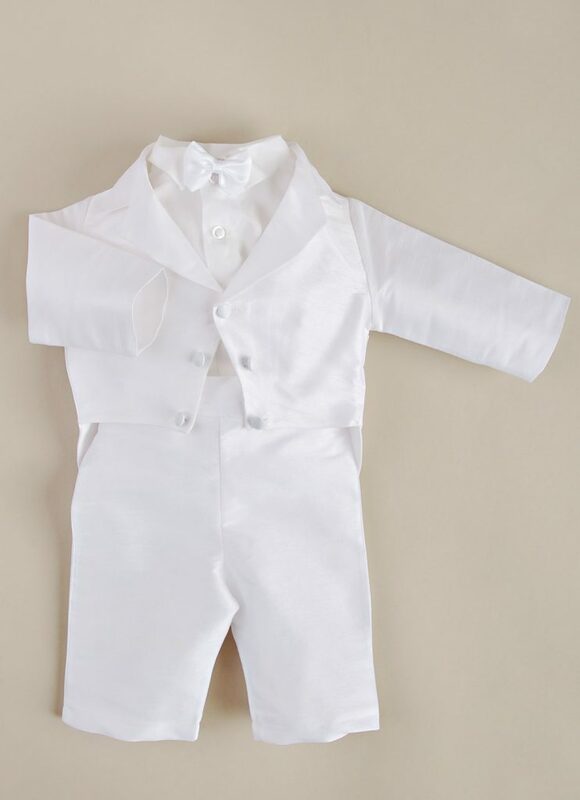 Cutie-pie Jack looks very handsome in his comfy David christening romper, don’t you think? 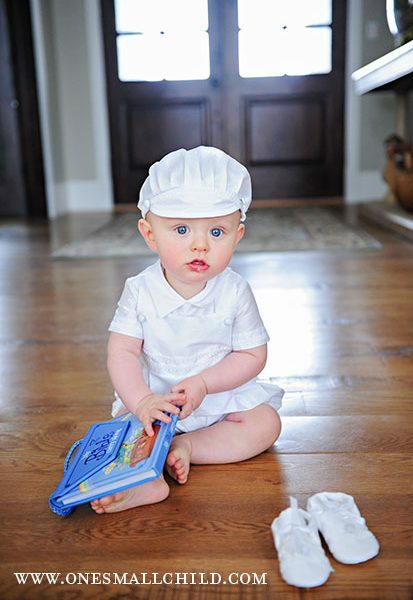 Thanks to his mother Elizabeth for sharing his picture! 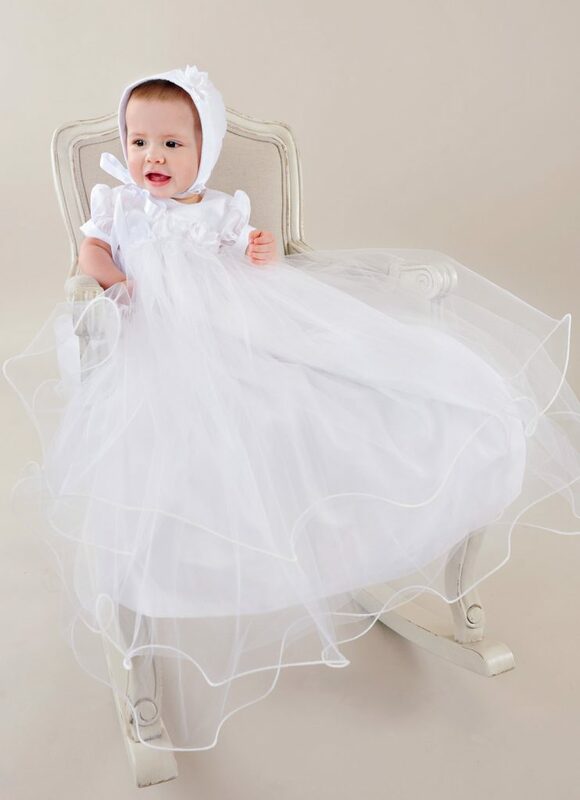 “I wanted to express my sincerest gratitude for the great customer service, exceptional quality, and unsurpassed craftsmanship that I received from One Small Child. 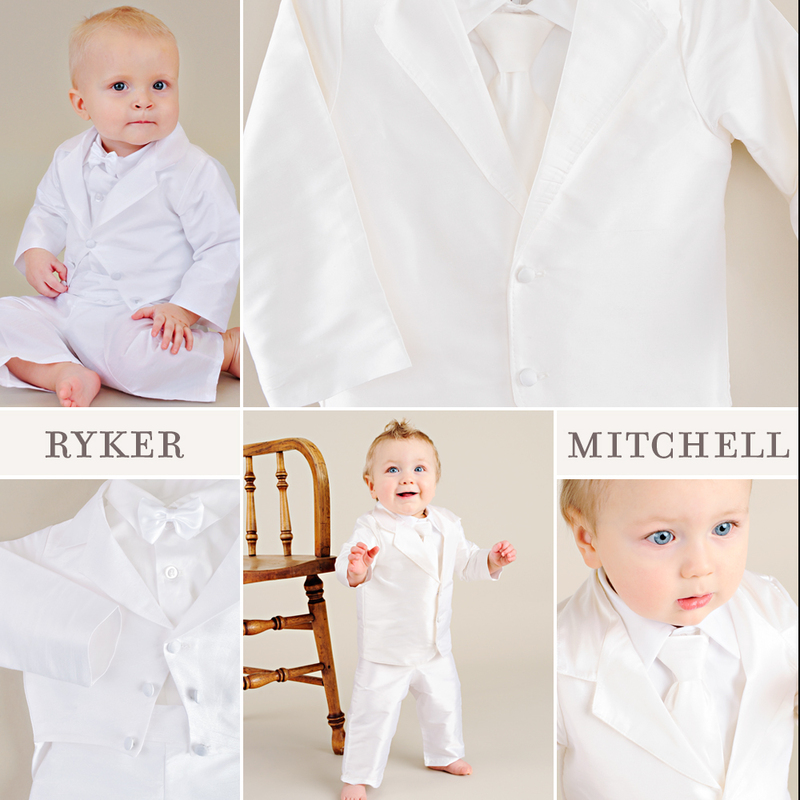 With such a great selection, I had a very difficult time deciding which gown to order. After selecting the ‘Candice‘. I was then concerned with my limited time frame and appropriate size for my daughter. My daughter was six months old when she was baptized and everyone says she is a very big baby. However, after reading your very detailed sizing instructions, I went with exactly what was shown on the chart. The dress fit her perfect…I was so pleased. I ordered the dress and, surprisingly, it arrived TWO days early. Unfortunately, when I tried the dress on her, she spit up carrots all over the front. I took it to our local cleaners and they were able to remove the entire stain!! I now see the humor in it all and I know that this is how memories are made. “I just wanted to write and tell you how happy I am with my purchase from One Small Child. 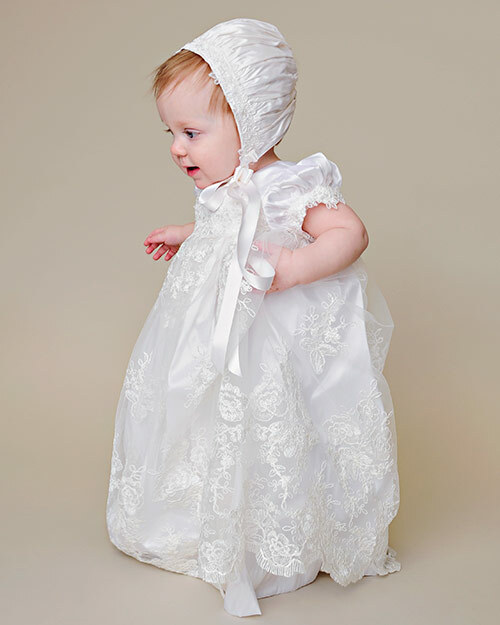 I ordered my daughter’s christening gown at the last minute. I got the dress in plenty of time and it is absolutely beautiful! The sizing was perfect and it was so beautifully made. The dress looked amazing on your website and is somehow even more beautiful in person. Everyone commented on it.